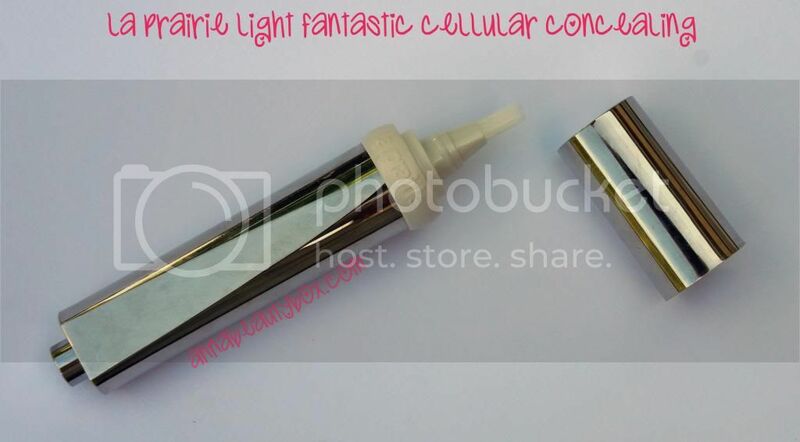 La Prairie Light Fantastic Cellular Concealing. 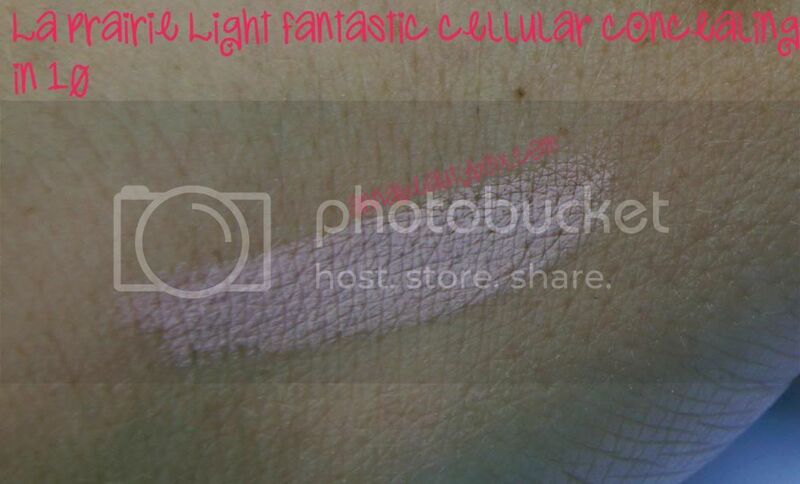 Review, photos, swatches. I have a really bad under eye situation. Because my skin is very pale, my under eye area has almost no pigment and my circles are darker than dark, bluer than blue. This has been a really huge problem for me. I looked for a solution on the other level but my cosmetologist told me that unfortunately there was no procedure that could help me get rid of that. The only solution was the concealer. Oh yes, concealer…I’ve been searching for so long for something that would finally be good enough for me: that would last long, would not crease or look cakey and the essential thing: would cover my dark circles. So in my search I looked for the best. Well, the priciest – that’s for sure. Is it any good? Find out now! La Prairie Fantastic Light Cellular Concealing. Packaging and design: 10 out of 10. 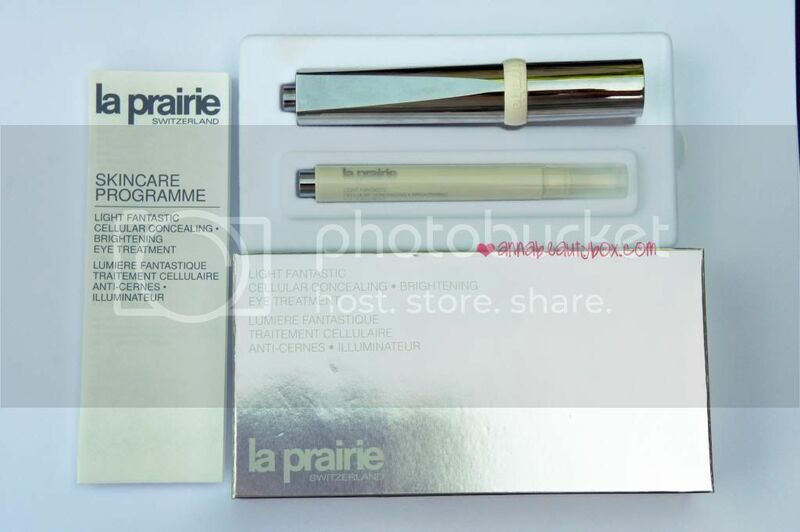 I mean, what we can’t take from La Prairie is their classy packaging. It’s so simple but so chic. When you open up the box..well I kind of understand what I paid all that money for. At least the packaging is great. Besides, La Prairie makeup products always have a trick that actually make them less expensive than they seem in the first place. Like, huge size of La Prairie’s Cellular Treatment Loose Powder. This concealer has also got a secret: you buy one but actually you get two! There is a concealer in the box plus a full-size refill! Each of them has 2.5 ml/0.075 oz which makes the total amount of product 5 ml/0.15 oz! Not bad at all. The concealer comes in a stylish silver pen. You click on a button and the concealer comes out. The brush is a typical concealer pen brush. When you’ve used it up you can screw it out and place the refill in the packaging. Handy! La Prairie Fantastic Light Cellular Concealing in 10. This is a light concealer and it will be great for you if you can find a matching shade and your dark circles are not as bad as mine. I definitely can’t use it on its own as it doesn’t give me enough coverage. But I think it is great to use it over another corrector or as a touch up concealer throughout the day. It has light texture so it almost doesn’t crease, maybe just a bit if I don’t push it into my skin well enough. Overall note: 7.5 out of 10. Price: 70 US$ for 5 ml/0.15 fl oz. Next post GHD scarlet set (hair iron and dryer) review and demo! Collection Lasting Perfection Concealer – Best Drugstore Concealer? 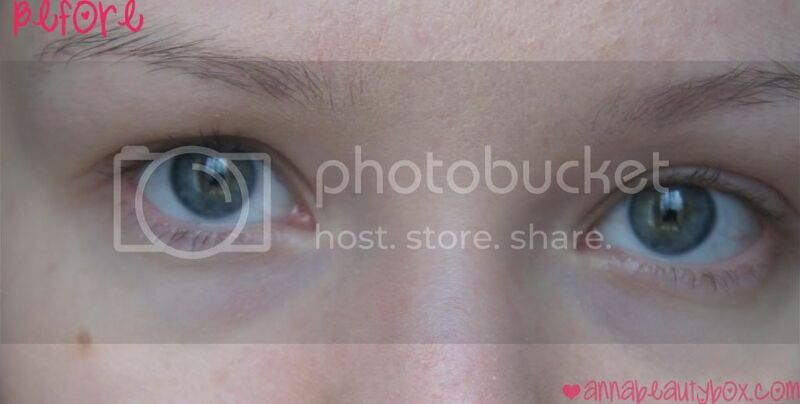 Oh honey, my dark circles are way worse than yours! :( But… I wanted to share my secret to making it a lot better. Off course concealer, but Aveda green science eye creme works miracles too. Hope it works just a good for you as it does for me.